Football is a 365 day a year game. A day by day reminder of some of the famous, record-breaking or bizarre things that have happened in the month of May over the years. This was the date when one of the more unusual ground attendance records was set - 14,000 at Cambridge United's Abbey Stadium in a friendly against Chelsea. The match was arranged as part of Ian Hutchinson's transfer between the clubs and marked the opening of the Abbey Stadium floodlights - but end of season fixture congestion caused a few problems. On Wednesday 29th April Chelsea were due to play Leeds in the FA Cup final replay, on the Thursday United were in Southern League action, Friday was the day of the friendly between the clubs and on Saturday United were in Southern League action again - and United had to win both their Southern League matches to guarantee retaining their Southern League title. Chelsea beat Leeds in the Cup Final on Wednesday and Cambridge United beat Worcester City 3-0 on Thursday. 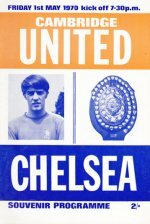 On Friday the record 14,000 crowd saw a near full-strength Chelsea side take a 1-0 half time lead but in the second half Cambridge United rested their players and the Chelsea reserve side provided the opposition. Cambridge United/Chelsea reserves won the match 4-3. On Saturday, before a 5,298 Abbey Stadium crowd Cambridge United beat Margate 2-0 to pip Yeovil Town by a point to win the Southern League Premier Division title. On Saturday 30th May Cambridge United were elected to the Football League - now that's got to be a perfect month in the life of any club! With the World Cup Finals in West Germany just a few weeks away - and England not part of it - the FA sacked Alf Ramsey as England manager. Appointed in 1963 he had managed England in 113 internationals of which they had won 69 and drawn 17 with his most notable achievement of course being the World Cup win in 1966. But failure to qualify for the finals of the Euros in 1972 and the World Cup in 1974 resulted in his downfall. With England due to play seven internationals in a little more than a month Coventry City manager Joe Mercer took temporary charge of the national team (3 wins, 3 draws and a defeat against Scotland) before Don Revie left Leeds United to become England boss in July 1974. The Arsenal v Liverpool FA Cup semi-final was finally decided – in the fourth match! In those pre-penalty-shootout days a 12th minute Brian Talbot goal gave Arsenal a 1-0 victory at Coventry’s Highfield Road ground in the 3rd replay – the only time an FA Cup semi-final was played at that ground. 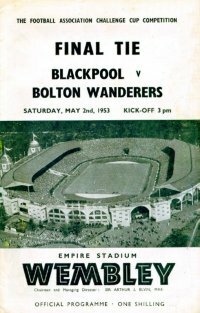 In one of the most memorable FA Cup Finals Blackpool beat Bolton Wanderers 4-3 at Wembley. It was know as the ‘Matthews Final’ as a 38-year-old Stanley Matthews at last won a club honour after previously being on the losing side in two FA Cup Finals - but it was close with Bolton being 3-1 up with less than 25 minutes remaining. The 'Mortensen Final' would have been a more appropriate title though with Matthews' team-mate Stan Mortensen scoring hat-trick. It was only the third hat-trick in an FA Cup Final - the first at Wembley with the other two coming in the finals of 1890 and 1894. Chelsea 2 Tottenham Hotspur 2 – Spurs let a two-goal lead slip in the Premier League match with the dropped points seeing Leicester City crowned as Premier Division champions. Yes, unfashionable Leicester, 5000-1 outsiders at the start of the season, are League champions for the first time in their history. They went on to finish the season 10 points clear of second-placed Arsenal although that margin isn’t really a true reflection of the title race. Leicester and Spurs were neck and neck going into the final few matches but while the Foxes were unbeaten in their last 12 matches Spurs didn’t manage a win in their last four, a run which saw them pipped to the runners-up up spot by their great rivals Arsenal. Leicester’s success was widely seen as the most unlikely triumph in the history of team sport but just nine months later the architect of that triumph – manager Claudio Ranieri – had been sacked. Such is life! The 1923/24 season was the closest the Welsh have got to winning the League Championship. Saturday May 3rd saw the last matches of the season being played and at the top of the First Division table Cardiff led Huddersfield by a point. But on that last day Huddersfield defeated Nottingham Forest 3-0 and Cardiff drew at Birmingham 0-0 after leading scorer Len Davies missed a penalty. Both clubs had 57 points and under present rules Cardiff would have won the title on goal difference (and then goals scored) but in the days of goal average the title went to Huddersfield by two-hundredths of a goal! Even if their points totals remained the same had Cardiff scored one more goal during the season - or Huddersfield had conceded one more - the title would have been Cardiff's. So that missed penalty cost the Welsh a League title! Goalkeeper Bruce Grobbelaar scored the only goal in his League career – from the penalty spot for Crewe Alexandra against York City in Division 4. Hamilton beat Morton 10-2 in the Scottish Championship. 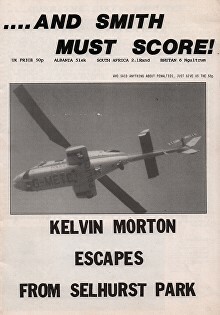 It was the first double figure score in the Scottish League since Rangers beat Raith Rovers 10-2 on 16th December 1967. Cardiff City played their last match of the 1928/29 campaign - a 1-1 draw with Blackburn Rovers - to finish the season with the best defensive record in the First Division. But that achievement didn't see them challenging for the title - in fact they finished bottom and were relegated to the Second Division! Despite winning their first home match of the season 7-0 - against Burnley - Cardiff also finished with the worst goalscoring record in the division and that saw them relegated. It was definitely a game of two halves at Exeter City's last Division 3 (South) fixture in the 1934/35 season. The score at St James Park against Aldershot was 0-0 at half-time - at full time it was Exeter 8 Aldershot 1. Now this was a memorable debut! After being a consistent scorer for the Accrington Stanley reserve side centre-forward Allan Duckworth was given his first team debut in Accrington's last match of the 1934/35 season, a Division 3 (North) match at Barrow. He scored after 4 minutes and that goal helped Accrington to a victory which saved them from finishing in the re-election area. But he was also carried off after 20 minutes with a knee injury and four months later having not recovered from that injury - and having also suffered a badly dislocated shoulder - he retired from the game. Those 20 minutes proved to be the only League football he ever played. Italian football was in mourning following the Superga tragedy. 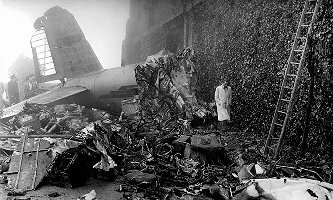 The aeroplane carrying AC Torino back from playing a friendly in Lisbon against Benfica crashed into the Basilica of Superga near Turin in bad weather, killing all 31 on board. Among the dead were 18 Torino players - including most of the Italian national team - as well as their English manager Leslie Lievesley. The crash left Torino with just one senior player - Sauro Tomà who missed the trip due to injury - and so for the final four league matches of the season Torino fielded their youth team. As a mark of respect their opponents in those four matches also fielded their youth sides - Torino won them all to confirm their fifth Italian championship in a row. Goalkeeper Peter Shilton made his Football League debut for Leicester City against Everton at Filbert Street. He kept a clean sheet in the 3-0 First Division victory and went on to play 1005 League matches in the League and 125 times for England, both records. 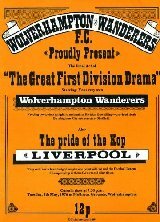 The First Division fixture between Wolverhampton Wanderers and Liverpool saw a dramatic conclusion to the League season which was suitably marked by the Wolves programme cover. The match, on the last evening of the season, saw Wolves needing a win to have any chance of overtaking near neighbours Birmingham City (who also played that evening) and keep their place in the First Division. Liverpool were a point behind top-placed QPR (who had finished their season) and needed the two points to guarantee them the League title. A 48,900 Molineux crowd saw Wolves leading 1-0 with 15 minutes left - but Liverpool won 3-1. Liverpool were the champs, Wolves were relegated. The total mis-match that was the Scottish League Division 3 in 2012/13 was well shown by the attendances in the last round of League matches on May 4th. There were 386 spectators at Annan, 745 at Clyde, 786 at Elgin, 462 at Queens Park and 50,048 at Ibrox for the Rangers v Berwick match. Rangers had been demoted from the Premier League after financial problems in the previous season had seen them enter administration. The Scottish giants took the title by a mile, finishing 24 points ahead of runners-up Peterhead and although the 50,048 was their best League gate of the season (will that ever be bettered in Division 3?) only once did a League attendance at Ibrox drop below 40,000. 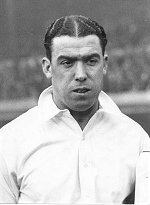 Everton’s Dixie Dean scored a hat-trick against Arsenal to bring his League goals total for the season to 60 – still a record. Including FA Cup and representative matches his total for the season was an amazing 82 goals. A Football League first. Alex and David Herd became the first father and son to play together in the Football League – for Stockport County against Hartlepools United in Division 3 (North). The lowest-ever League crowd at Highbury – just 4,554 – saw Arsenal defeated 3-0 by Leeds. A tragedy at York City's Bootham Crescent in their last Fourth Division match of the season, against Halifax Town. 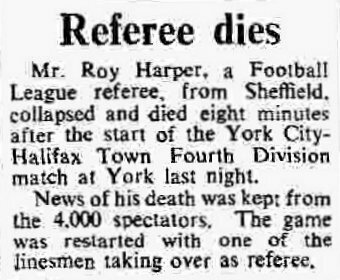 Referee Roy Harper collapsed on the pitch shortly after kick off and died of a heart attack. I think it amazing that the match wasn't called off out of respect but instead one of the other officials took over and the match was played to the finish. Norwich finished the season with a 1-1 First Division draw against Nottingham Forest at Carrow Road. It was their 23rd League draw of the season - a record for a 42-match League season. Tottenham beat Leicester 2-0 in the FA Cup Final to become the first club since Aston Villa in 1896/97 to win a League and FA Cup double. Among their ranks that day were Bill Brown, Danny Blanchflower, Dave Mackay, Cliff Jones and John White who helped Spurs become the dominant force of the time. And Jimmy Greaves had yet to arrive at White Hart Lane! The final was Leicester's 10th FA Cup tie of the season and it was part of a disappointing run that saw them lose in all the four FA Cup finals they played in in the 25 years since football had resumed after the Second World War. 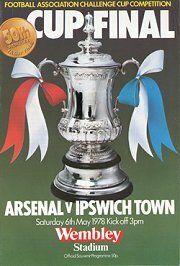 Arsenal were red-hot favourites to beat FA Cup final debutants Ipswich Town in the 1978 final at Wembley. The Suffolk side had been beaten 6-1 by Aston Villa in the League a week previously but the underdogs hit the posts three times in the final before Roger Osborne scored the only goal of the match for Ipswich in the 77th minute. That was his last action in the match - he immediately fainted and had to be substituted! Wolves were clear champions but the battle for the second automatic promotion spot from the Championship in 2017/18 went to the last match of the season. Fulham had to pick up more points than Cardiff on the last day, May 6th - Cardiff drew 0-0 at home to Reading while Fulham - defending a 23-match unbeaten League run dating back to December 2017....lost at Birmingham! Cardiff's promotion saw their manager Neil Warnock set an impressive new record - it was the eighth time he had managed a club to promotion, a record covering 7 different clubs. He started off by managing Scarborough to promotion from the Conference to the Football League in 1986/87 followed by promotions with Notts County (twice), Huddersfield, Plymouth, Sheffield United and QPR before his latest success at Cardiff. And for the record Cardiff set a major new Football League first during the season. In consecutive matches in February and March they beat Bristol City, Barnsley, Birmingham, Brentford and Burton to become the first side ever to beat five clubs starting with the letter 'B' in consecutive League matches. Hey - every record is important! Old Trafford staged 2 matches on this day in 1921. Following the Manchester United v Derby County fixture Stockport County, whose Edgeley Park ground had been closed as a punishment for crowd problems, played Leicester City. Only 13 paid to watch the Stockport match although several thousand others stayed on from the Manchester United match to watch the Stockport game for free. Brian Clough took charge of his Nottingham Forest side for the last time in a Premier League match at Ipswich Town. His managerial career saw him win League titles and European Cups but it ended on a low with Forest losing at Ipswich to finish bottom of the Premier League in its debut season. 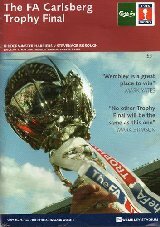 Link - Nottingham Forest results 1992/93 & Clough last match article. Going into the last match of the season Carlisle United were favourites to fill the one relegation spot from the League to the Conference, they were a point behind Scarborough. Going into the last seconds of the season Carlisle were near certainties to go down. Scarborough's match had just finished - they had got a point - while Carlisle were level with Plymouth at Brunton Park, and so they needed a win to stay up. With seconds left Carlisle goalkeeper Jimmy Glass went upfield for a Carlisle corner - and scored the winning goal to keep Carlisle in the Football League. Jimmy Glass was on loan from Swindon at the time, he only ever played 3 times for Carlisle and yet scored one of the most important goals in the clubs' history - not bad for a goalkeeper! England played their first international against foreign opposition at Wembley, beating Argentina 2-1 in front of 99,000 fans. Since 1924 England had only played Scotland at Wembley. A week after Ian St John joined Liverpool from Motherwell for a club record fee (a mahoosive £37,500!) the Scottish international made his debut for the Reds. Although Liverpool lost the Liverpool Senior Cup final 3-4 against Everton at Goodison Park St John scored all 3 Liverpool goals in front of an amazing 51,669 crowd. 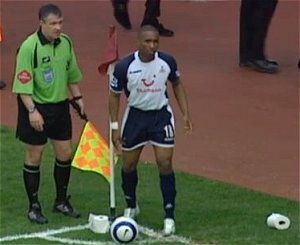 A lob from 45 yards out on the right touchline by former Tottenham player Nayim beat David Seaman in the last minute of extra time and gave Real Zaragoza a 2-1 victory over holders Arsenal in the final of the European Cup Winners Cup played at the Parc des Princes in Paris. In May 2008 Rochdale striker Lee Thorpe could only watch his team-mates from the sidelines when they played their League 2 play-off final against Stockport at Wembley, Rochdale's first-ever match at Wembley. He had broken his arm in three places a couple of weeks earlier. He did it in an arm-wrestling contest with team-mate Rene Howe on the coach to the semi-final against Darlington! Striker Chris Dagnall was seemingly full of sympathy when he later described the incident. 'Everybody on the bus heard the snap, it was that loud.' Ouch! Surprising, despite having scored less goals than relegated Sheffield United, going into their last match of the season Crystal Palace had everything to play for. They were fourth in the Second Division table but the top three sides who were in the promotion spots had all completed their League fixtures - Palace were catching up after a poor season of weather-related postponements. A win for the Terry Venables managed Palace on that Friday night would see them finish top and deny great rivals Brighton the championship, a draw would see them miss out on the title but still win promotion to the top flight while a defeat would see them in the Second Division for another season. What is still a record Selhurst Park crowd of 51,482 witnessed a goalless first half against Burnley before goals from Ian Walsh and David Swindlehurst in the last quarter of an hour gave the Londoners a 2-0 victory and the Second Division title. Tragedy strikes at the Bradford City v Lincoln City match at Valley Parade when a discarded match starts a fire in the wooden Main Stand. It was soon engulfed in flames which left 56 dead and over 250 injured. Stevenage Borough captain Ronnie Henry became the first player to climb the 107 steps to the Royal Box of the new Wembley to collect a trophy – the old stadium had 39 steps. A 53,262 crowd saw Stevenage Borough beat Kidderminster Harriers 3-2 to lift the FA Trophy. Seven days later the crowd increased to 89,826 for the first FA Cup final at the rebuilt stadium when Chelsea beat Manchester United 1-0. Lou Macari’s testimonial match at Old Trafford between Manchester United and his former club, Celtic, attracted a crowd of 40,140 which included over 15,000 Celtic fans. Macari played one half for each side. The £85,000 receipts were the record at the time for a testimonial match in Britain. Sunderland played their final match at Roker Park. Sunderland beat Liverpool 1-0 in a friendly fixture with John Mullin scoring the last goal at the famous old ground. 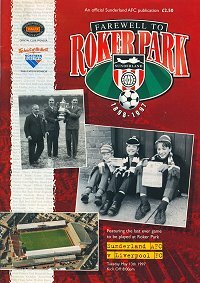 Liverpool had been the visitors for the first match at Roker Park, 99 years earlier on 10th September 1898, for a First Division fixture which the home side had also won 1-0. I was asked a while ago if it was right that players started exchanging shirts after a match so that they could sell them on ebay to earn a few extra pounds. I'm sure a few do but the practice started before the days of the computer, back in May 1931 after a France v England international in Paris. It was the seventh time the countries had met and England had won all the previous six, usually by a big margin. But on 14th May 1931 things were different and France recorded - for them anyway - an historic 5-2 victory. So pleased were the French that they asked if they could have the England shirts to keep to commemorate the win, their request was granted and a tradition was started. In their 68th competitive match of the season (they would play a record 70) Arsenal met Valencia in the first European final to be decided on penalties. 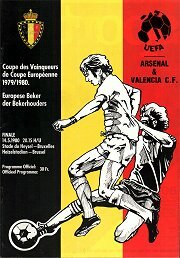 Liam Brady and Graham Rix missed their kicks with Valencia winning the penalty shoot-out 5-4 at the Heysel Stadium in Belgium to take the European Cup Winners Cup. 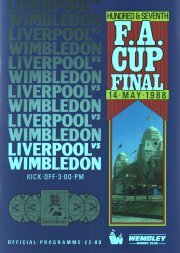 Just 11 years previously Wimbledon had been a non-league side but on this day in 1988 they caused a major shock by beating Liverpool in the FA Cup final, Lawrie Sanchez scoring the only goal of the match to deny the Merseysiders a League and FA Cup double. Wimbledon's skipper Dave Beasant became the first goalkeeper to save an FA Cup final penalty at Wembley (against John Aldridge). Tottenham Hotspur played their 1993rd and last League match at their old White Hart Lane ground, their home since 1899. Spurs were moving to Wembley for the 2017/18 season to allow their old ground to be demolished and their new ground to be completed. They marked the occasion with a 2-1 victory over Manchester United to equal a club record of 14 consecutive home League wins. But it was perhaps their last two away matches of the season that made more headlines. On May 18th Harry Kane scored 4 in the 6-1 win at reigning champions Leicester and three days after that Kane scored three more in their 7-1 victory at Hull, their record away League win. Those goals saw Kane win the Golden Boot award for the top Premier League goalscorer for the second season in a row while the points won saw Spurs finish second, their best League finish since 1963 and perhaps more importantly for the first time since 1994/95 they finished the season higher in the League than north London rivals Arsenal. Two front page stories in the Sunday newspapers ended any doubt – if there had ever been any doubt that is – that footballers just earn far too much money! 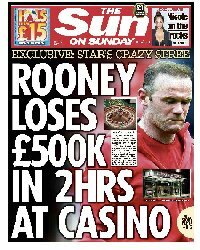 According to The Sun when Coleen and the kids were away for a few days Wayne Rooney made a late night visit to a Manchester casino and proceeded to lose £500,000 in a couple of hours playing roulette and blackjack. But hey, his earnings were £300k a week! His former teammate David Beckham was a tad more sensible with his cash although the anniversary present The Star said he was buying for his missus, Victoria, did seem a tad over the top – a £7 million Caribbean island! 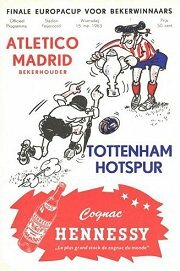 Spurs became the first British club to win a European competition when they hammered Atletico Madrid 5-1 in the final of the European Cup Winners’ Cup played in Rotterdam. The most embarrassing postponement of all time? A 75,000 crowd was assembling at Old Trafford for what should have been Manchester United's last Premier League match of the 2015/16 season, against Bournemouth. Then a 'suspect device' was found in one of the toilets, the ground was evacuated, the match was called-off and a controlled explosion was carried out. It was later found that the 'suspect device' was a dummy bomb which had been used in a security training exercise at Old Trafford and which had unknowingly been left at the ground by mistake. No-one had discovered the very realistic-looking pipe-bomb (as pictured) until just before scheduled kick off - and then nobody was taking any chances. Two days later United beat Bournemouth 3-1 in the re-arranged fixture. Just two days after winning the FA Cup the Wimbledon's 'Crazy Gang' hit the headlines again. In a testimonial for one of their cup-winning team, Alan Cork, most of the players 'mooned' at half time. It saw Wimbledon being charged by the FA for bringing the game into disrepute - the club were fined £5000 and each of the players involved £750. West Ham United set a new world record! Each fan who attended West Ham's last Premier Division match of the 1998/99 season, against Middlesbrough, at Upton Park on Sunday May 16th 1999 was given a bubble-blowing pot by kit supplier Fila and 23,680 of them blew bubbles for 1 minute to get into the Guinness Book of World Records. The quickest-ever hat-trick in the Premier League was scored by Southampton's Sadio Mané on Saturday May 16th 2015. His three goals were scored in 2 minutes 56 seconds in the 6-1 defeat of Aston Villa at St Mary's. The Senegal international's 176 second record beat the previous best which had stood for nearly 21 years - Robbie Fowler had scored all of Liverpool's goals in their 3-0 victory over Arsenal at Anfield on Sunday August 28th 1994 in four minutes 33 seconds. Middlesbrough ended a disappointing season with a 2-0 FA Cup final defeat against Chelsea. Chelsea's first goal came from Roberto Di Matteo after just 42 seconds which at the time was the quickest FA Cup final goal - since beaten by Louis Saha for Everton in 2009 (25 seconds). Chelsea's victory saw their manager, Ruud Gullit, become the first foreign manager to lead his team to an FA Cup triumph - now we wonder when there will be another winning team with an English manager! Apart from being beaten in their first FA Cup final the 1996/97 season had also seen Middlesbrough beaten in their first League Cup final (by Leicester) - and they suffered relegation from the Premier League! When Bobby Moore and Bobby Charlton went shopping in Columbia on May 18th 1970 during an England pre-World Cup tour a diplomatic incident followed. Bobby Moore was accused of stealing a bracelet and a week later was charged with theft and placed under house arrest. The case was later dropped and Moore was able to take his place in the England team in the Mexico finals. Paul Gascoigne was carried off - and many say should have been sent off – with a torn cruciate ligament after a wild tackle on Forest’s Gary Charles at the Spurs v Nottingham Forest FA Cup Final. Was he ever the same player again? Spurs won 2-1 to deny Brian Clough success in his only FA Cup final. 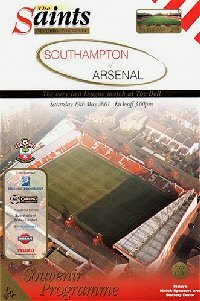 The word most often used to describe Southampton's former home at the Dell was 'cramped' and a cramped capacity crowd of 15,252 saw a dramatic and memorable end to their 103 years at the ground. In the last competitive match at the Dell Arsenal were the visitors for a Premier League fixture with the Gunners twice taking the lead. Hassan Kachloul equalised twice for the Saints before 32-year-old Southampton legend Matt Le Tissier came on as a sub and scored an 89th minute winner. Amazing! A week later Southampton entertained Brighton in a friendly for the very last match at the ground - Brighton United had been Southampton's first opponents at the Dell on 3rd September 1898. After 27 years as manager Alex Ferguson took charge of Manchester United for the last time in the League. 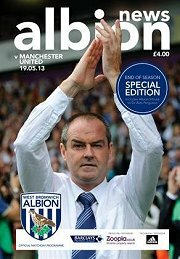 He saw his side let in 5 goals at WBA – they drew 5-5, the first time that scoreline had been recorded in the Premier League. Bobby Moore made his England debut and Jimmy Greaves scored a hat-trick in England’s 4-0 friendly victory in Peru. An unusual fixture at Highbury. A young apprentice by the name of Charlie George was one of those who helped turn Arsenal's former home into a boxing arena. The occasion was a World Heavyweight title bout between Henry Cooper and defending champ Muhammad Ali. Over 40,000 were present to witness Our 'Enery suffer a sixth round defeat with a badly cut eye. The 1982/83 season was a disappointing one for Brighton. Their first stint as a top flight club (it lasted 4 seasons) came to an end when they finished rock bottom of the old First Division. But they did reach their first ever FA Cup final and on May 21st 1983 they had the chance of making history by becoming the first relegated club to win the competition....and they so nearly did it. With just seconds of extra time left against Manchester United Brighton's Gordon Smith looked certain to score and Peter Jones' BBC radio commentary of the moment passed into history - 'And Smith must score....and he hasn't scored. And Bailey has saved it' The final whistle then went confirming the 2-2 draw and five days later the replay at Wembley ended with Brighton being thumped 4-0. That Gordon Smith miss and Peter Jones' words will forever be with us and they were even remembered in the name of a Brighton fanzine (which is no longer with us). 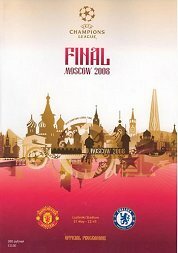 For the first all-English Champions League final the fans of Chelsea and Manchester United had to make the long journey to Moscow. It was also a late night - it was 7.45pm for the British TV viewer but in Moscow it was 10.45pm and with the match going to extra time and penalties the cup didn't get presented until the early hours. It was presented to Manchester United who won 6-5 on penalties after the match had ended 1-1. Ron Springett won 33 England caps - he played in the 1962 World Cup finals and was a non-playing member of England's 1966 World Cup winning squad. His brother Peter played for England at both youth and Under 23 level although never won a full cap. What was unusual was that both brothers were goalkeepers and what was unique was that on 22nd May 1967 they were involved in a transfer swap. 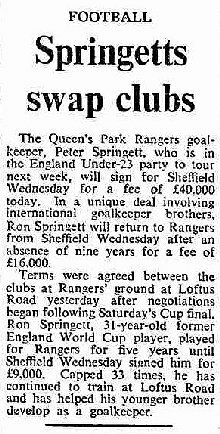 Ron moved from Sheffield Wednesday back to his former club Queens Park Rangers while younger brother Peter moved in the opposite direction. Sheffield Wednesday also paid QPR £24,000 to complete the deal. Tottenham drew 1-1 with Second Division QPR at Wembley in the FA Cup Final but Spurs were without their Argentine player Ricky Villa who had withdrawn from the squad because of the Falklands War. Spurs won the replay at Wembley five days later. Any lingering hopes that England were the best in the world ended in their final warm-up match for the 1954 World Cup finals. England lost 7-1 to Hungary in Budapest, a result which is still England’s record international defeat. Terry Venables was appointed the new manager of Barcelona on a salary reported to be around £150,000 a year. ‘El Tel’ lasted three years in Spain. Indoor international football arrived in Britain for the first time when Brazil beat Wales 3-0 under a closed roof at the Millennium Stadium in Cardiff. Steven Gerrard made his first-team debut for Liverpool on November 29th 1998 in a Premier League match against Blackburn at Anfield and on 24th May 2015 he played his 504th and last League match for the club. He scored Liverpool's only goal at Stoke but it wasn't a memorable last game for the Reds' legend. 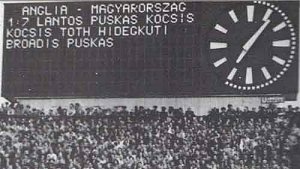 In fact the match saw a scoreline he hadn't experienced in any of his previous 503 League matches for the club (and hadn't happened in his lifetime) - a 6-1 defeat! England beat Portugal 10-0 in Lisbon with Stan Mortensen scoring 4 on his debut. Tommy Lawton also scored 4, the first after just 17 seconds. I promise I haven't made that up - England did that sort of things in those days! It normally takes clubs a full five months to win the FA Cup but on 25th May 1963 Manchester United set a record by winning the final just 82 days after playing their first match in the seasons' competition. Bad weather meant that they didn't play their Third Round match until March 4th rather than in early January and by the end of May they had beaten Leicester City in the final. Apart from 6 FA Cup ties United also played 17 League matches in those 82 days. Celtic beat Inter Milan 2-1 in Lisbon to become the first British club to win the European Cup. At half time at the Champions League final at the Atatürk Stadium in Istanbul AC Milan were leading Liverpool 3-0 - Liverpool were poor and were going to get hammered. In one of the most amazing turn-rounds though second half goals from Steven Gerrard, Vladimir Smicer and Xabi Alonso put Liverpool level. No more goals in extra time and so it went to penalties. 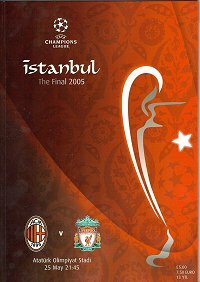 And yep, Liverpool won 3-2 to complete what was genuinely The Miracle of Istanbul. Leicester City’s Gary Lineker made his England debut as a 72nd minute substitute for Tony Woodcock in the 1-1 draw against Scotland at Hampden. 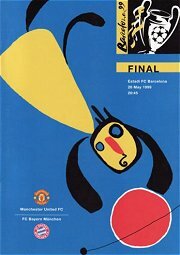 Manchester United's attempt to win the Champions League for the first time looked doomed to failure at the Nou Camp, Barcelona. They went behind against Bayern Munich after just six minutes and that was still the score as the final whistle approached. Then amazingly came goals from subs Teddy Sherringham in the first minute of injury time and Ole Gunnar Solskjær a minute later and the Champions League trophy joined the Premier League trophy and FA Cup in the Old Trafford trophy cupboard. England’s Alan Ball wound up a 119,325 Hampden Park crowd by wiping his nose on a corner flag bearing the Cross of St Andrew. England beat Scotland 1-0 – Ball scored the goal. 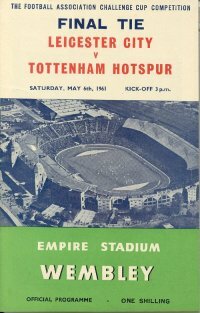 Managers nowadays seem to moan if their team has to play twice in a week but back on this day Tottenham Hotspur played their last match of a busy season, an FA Cup final replay victory over QPR. Apart from retaining the FA Cup Spurs finished 4th in the League and were beaten in the final of the League Cup and semi-final of the European Cup Winners Cup. In all they played 66 competitive matches in 1981/82 - including 4 at Wembley - with 19 of those being played in the last two months of the season alone. Billy Wright made his 105th and final appearance for England against USA in Los Angeles. England scored seven second half goals in an 8-1 victory. Peterborough United were elected to the Football League. Their election was certainly not a surprise given that they were perhaps the strongest non-league side since WW2 but what was surprising was that Gateshead were voted out – they were third from bottom in Division 4 in 1959/60 with no recent record of previously needing to seek re-election. 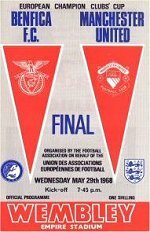 Manchester United became the first English club to win the European Cup, beating Benfica 4-1 at Wembley. Just 18 days after the Bradford City fire disaster tragedy struck at the European Cup final between Liverpool and Juventus at the Heysel Stadium in Brussels, Belgium. 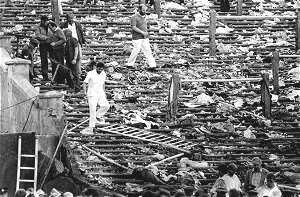 Rioting fans and a collapsed wall at the decrepit stadium saw 39 fans crushed to death and over 600 injured. Despite this happening before kick off the match took place with the authorities fearful of further violence if it was called off. The result of the match was an irrelevance. 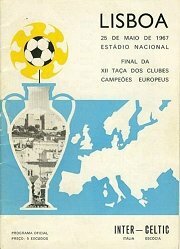 Forty seven years to the day after Benfica had played Manchester United in the European Cup final the Portuguese side were up against another Manchester side, this time the opposition being FC United of Manchester. They were the protest club founded in 2005 by supporters of Manchester United following the unpopular takeover of their club by the American Malcolm Glazier. 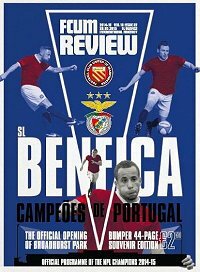 The match was to mark the official opening of their new Broadhurst Park ground, a 4,232 crowd witnessing a 1-0 victory for the Benfica reserve side. So how long is it going to be before they celebrate their first match in the Football League? 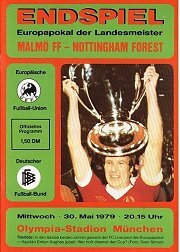 Cloughie leads unfashionable Nottingham Forest to a European Cup Final victory over Malmo in Munich. An amazing achievement – one which Forest repeated the following year. Aged 17 years and 75 days Theo Walcott became the youngest England international in the 3-1 victory over Hungary at Old Trafford. Another debut was given to the robotic dance celebration of Peter Crouch after he had scored England’s third goal. The Football League decided to increase the size of the Second Division by 4 to 16 clubs for the start of the 1893/94 season. Newcastle United and Rotherham Town were elected at the League AGM but it was decided to advertise for clubs to fill the other two places. Applications were soon received from Doncaster Rovers, Liverpool, Loughborough, Middlesbrough Ironopolis and Woolwich Arsenal. On this day in 1893 the Football League announced that they had decided that Liverpool and Arsenal should fill the remaining two places. In the case of Arsenal it was perhaps a brave decision. Apart from the FA Cup, their 1892/3 fixture list consisted entirely of friendlies and as the first southern side in the Football League every other club in the division would be hit with extra travelling costs. Football may be the major attraction to Wembley but over the years the famous stadium has hosted some weird and wonderful events, perhaps the most weird being back in 1961. 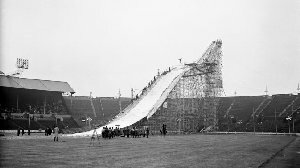 A 150-foot tower was built at one end of the ground and then on May 31st (one session) and June 1st (two sessions) some 50 tons of ice was crushed into artificial snow each session and spread to a depth of 6 inches on the bottom slope of the tower. And then the paying spectators watched ski-jumping. Really! Brighton’s Peter Ward made his England debut as an 85th minute sub against Australia in Sydney – he never played for England again!